Rendezvous (랑데뷰) will be a girl group under Parksal Entertainment set to debut on July 7, 2019. The current lineup consists of Suri, Seulgi, Lingyi, and Mary. -Her parents told her she could inspire people with her voice and that’s why she became an idol. -Her hobbies are singing, dancing, listening to music, watching movies, and boxing. -Her skills are singing, dancing, acting, and making music. -She has made it into voting for the Drama OST Kpop Festival. -Her interests are performing arts and entertainment. -Her role models are BoA, Lyn, Beyonce, BTS, Bigbang, and Yoo Jae Suk. -She was born in Uijeongbu, Gyeonggi-do, South Korea. -She has been training for at least a year and a half. -Her role model is Ariana Grande. -She is a “boy group dance master”. -She is a former member of A.MOR. -Suri practiced ballet for a short time. -She is from Daejeon, South Korea. -Her favorite animals are dogs and cats. -She likes to listen to Tinashe. -Her hobbies are stretching, making accessories, looking for good music, and watching entertainment. -Her favorite animal is a bird. -She can speak Korean, Chinese, and English. -Her hobbies are boxing, watching movies, eating, and photography. -She adapted to Korea very quickly. Note: When new members will be revealed, the profile will be updated! Who is your Rendezvous Project bias? Eunjung’s IG is ai_amour_ !! suri is a 94liner! you can confirm that by looking up her info from when she debuted with amor. she also did ballet for a short period of time (arirang interview with amor). if you need any other suri information i can link the rest of that interview as well as some amor stuff, by the way! I would put them in a google docs, since from Parksal’s statement it seems unlikely that they will return unless somebody leaves. The V-Square Auditioner who passed (for final member) has been picked!!! It is Vegas On LingYi of Singapore! seulgi’s favorite shinee song is view, her favorite boygroup is block b and her favorite girlgroup is blackpink!! Vegas was the winner of the audition for a new memeber hee is her info please add!! new members lingyi and kyeonghye have been added! 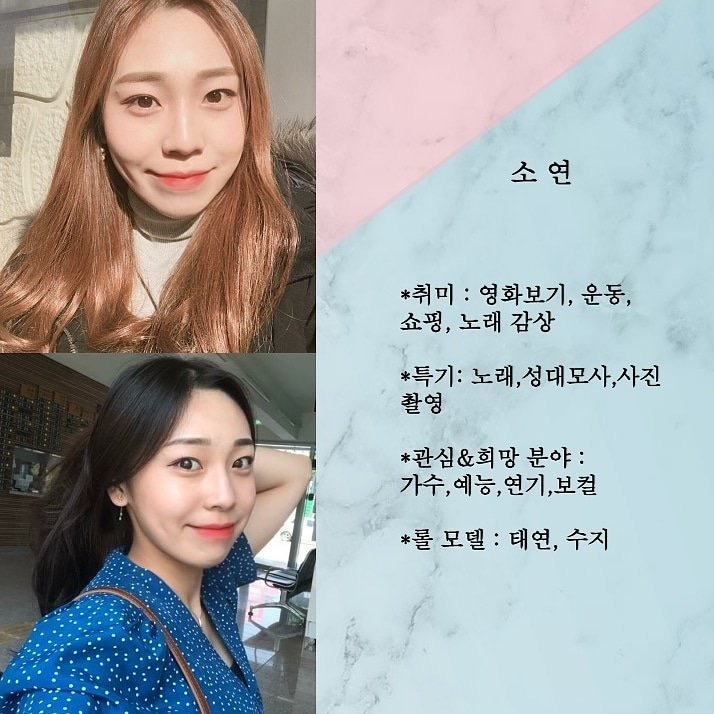 kyeonghye’s full name is hong kyeonghye and her instagram is @lete_kh! lingyis instagram is @vegashley01!! also i think suris full name is kang suri but im not 100% sure, however during a youtube live kyeonghye and seulgi did suri was commenting and her account said 강수리 i think so …. but again im not sure about that!!! 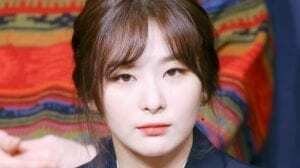 seulgis birthday is october 28 not 27!! and shes born in 1994, shes 24 years old in international age and 25 in korean age! suri ‘ s favourite animals are dogs and cats! 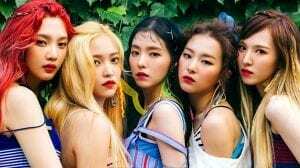 seulgi is the leader of the group . ling yi ‘s birthday is on the 15th of april . ling yi favorite animal is a rabbit . kyeonghye ‘s favourite animal is a bird . ling yi adapted to korea really fast . kyeonghye ‘s stage name is mary! – Suri’s birthday is not October 10, it’s October 11. Maybe her birthday was on October 10 where the person who put that info lives but the official Rendezvous profile wished her a happy birthday on October 11 11:52 AM KST. Her profile for the previous group, AMOR, also says her birthday is October 11. Many people use this profile as reference so I’d be very grateful if you could correct it. – Parksal made all of them delete their personal Instagram profiles so you can remove that from the profile, they say it’s to preserve their privacy. – Kyeonghye and Ling Yi said on their March 10 V LIVE they’re both rappers and vocals. Their positions are probably Seulgi as main vocal, Suri as main rapper and the other two as vocals and sub-rappers. – Still on the March 10 V LIVE, Kyeonghye said she is 22 in korean age and 21 in international age, that means she’s a 97 liner. – Ling Yi’s rumoured birthday is April 15, she put that date on her (deleted) Instagram bio together with a birthday cake emoji, we’ll know if it’s true soon. Kyeonghye’s role models are SHINee, Mamamoo, Red Velvet, f(x), CHUNG HA, Seventeen, BTS, Hyolyn, etc. I have added all the pictures you gave us and gave you credit, thank you!